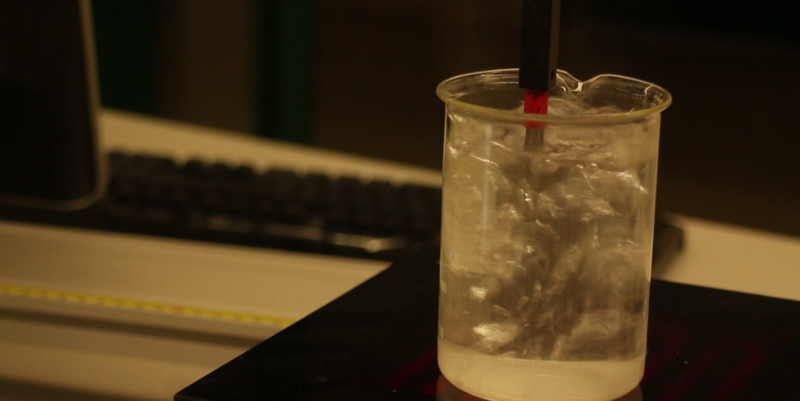 PhyLab 2.0 is a system created for scholastic laboratories that collects and processes experimental data. It can automatically measure and send plots to connected smartphones and other devices, so that every student can access it immediately. The project is modular. 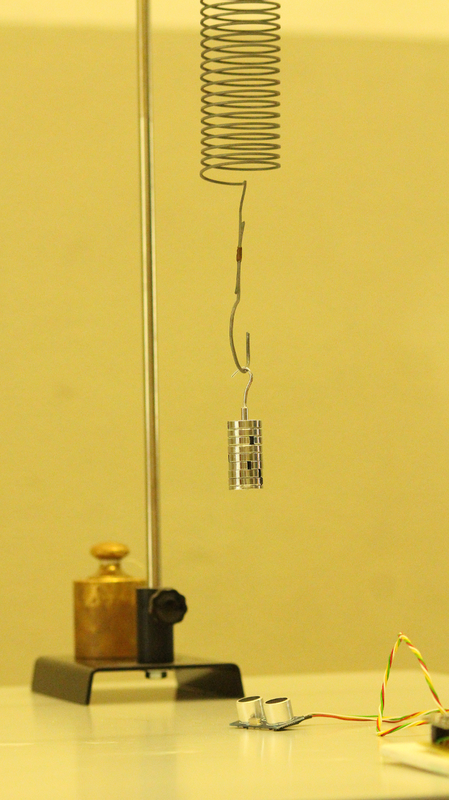 It is composed of a series of collecting-transmitting units equipped with sensors; these deliver the data to the central unit which processes and stores them while, at the same time, producing real-time plots. These can be viewed from every device that has a web browser. 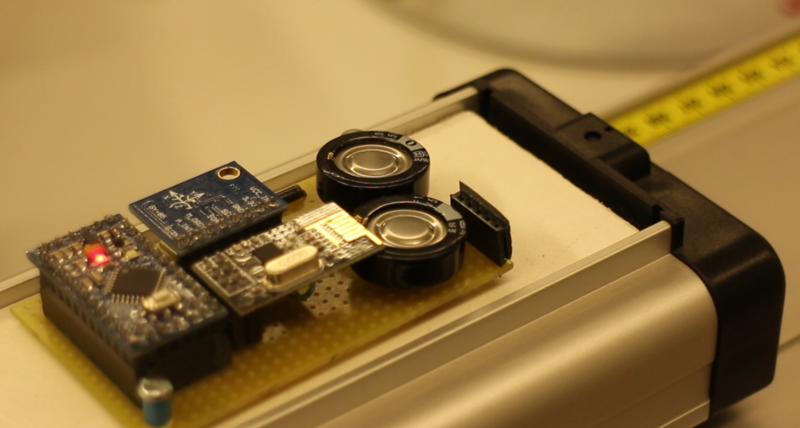 The sensor-based units are made with Arduino; the central unit is based on RaspberryPI. The system is capable of collecting inputs at an incredibly high rate, which is not possible through manual data acquisition. 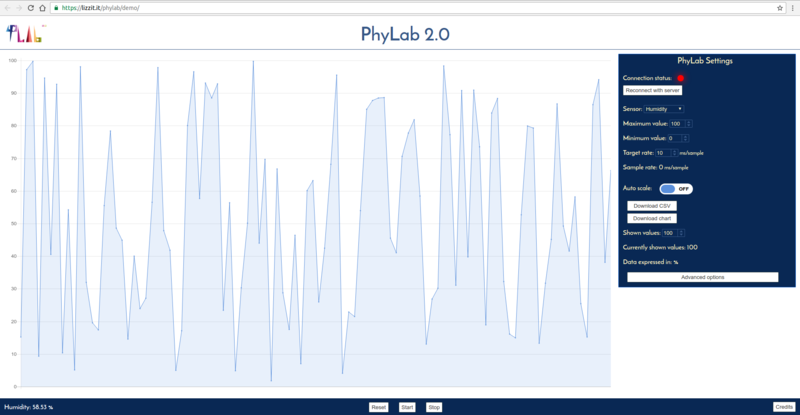 PhyLab 2.0 is open-source, inexpensive and easy-to-use; it makes laboratory experience much more interesting and impactful. It simplifies the understanding of science and physics through automatic data acquisition. PhyLab is an open-source, modular system; it makes laboratory experience more interesting simplifying the understanding of science and physics. 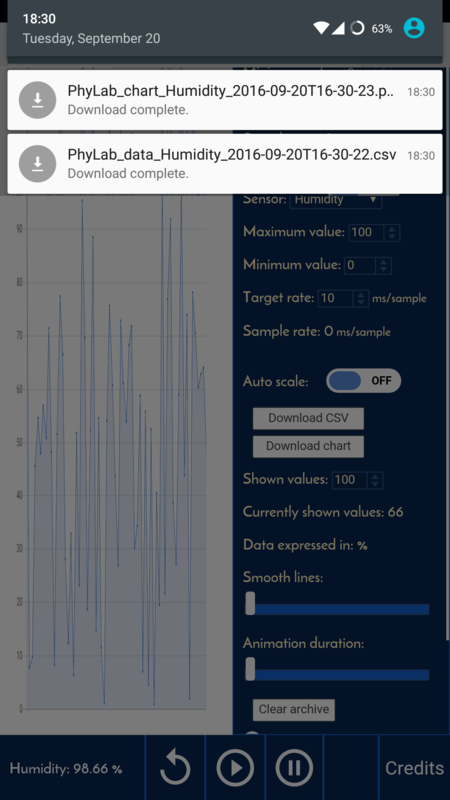 Is has been created for school laboratories; it collects and processes experimental data at an incredibly high rate, makes plots and sends them to connected smartphones and other devices. 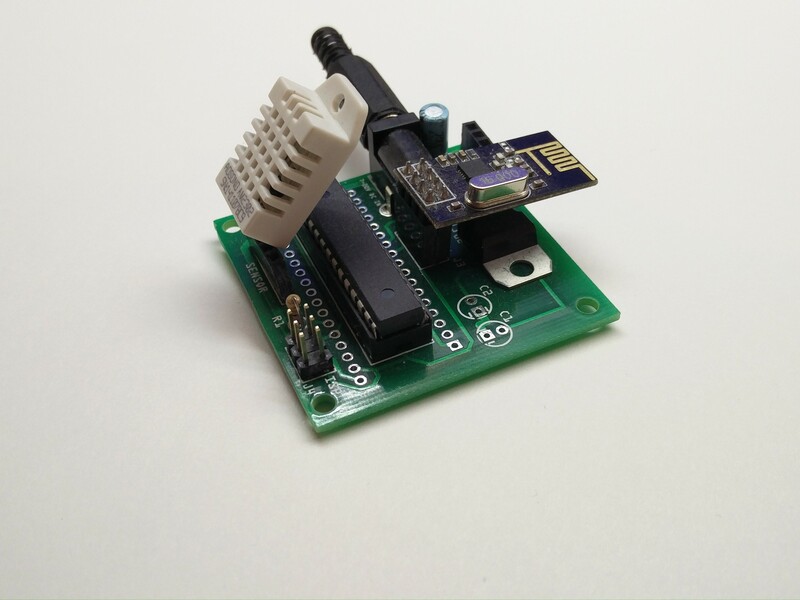 It is composed of a series of collecting-transmitting Arduino-based units equipped with sensors; these deliver the data to the RaspberryPI-based main unit that produces real-time plots. This system collects different types of data ( temperature, humidity, speed). The main unit needs to be a RaspberryPI 1, 2 or 3. 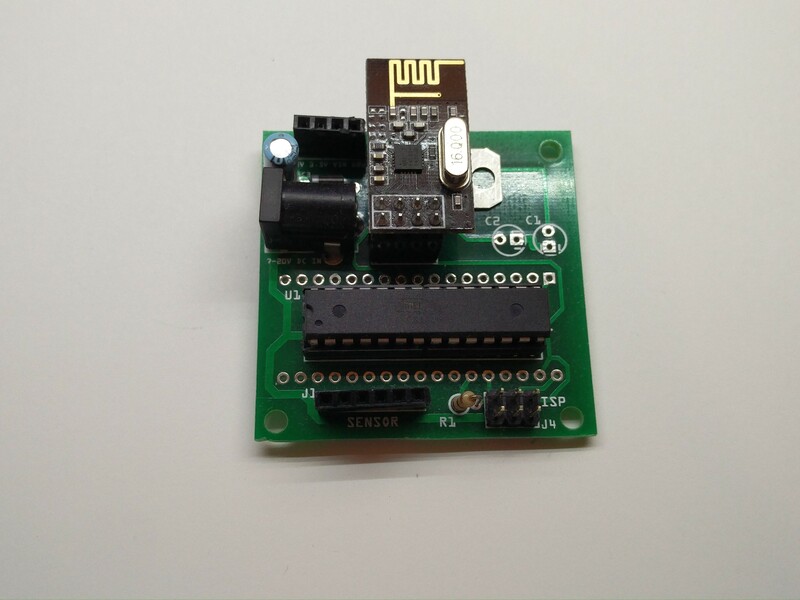 Each transmitting module sends data to the main unit either via an nRF24L01+ module or via USB. The data is then saved on the main unit and sent to all the connected clients. The main unit can also act as a web server, and as a WiFi hotspot, this allows the system to be transported easily. For the main unit a RaspberryPI and an nRF24L01+ module are required; a DS1307 RTC is highly recommended since it allows the system to work even without wired internet connection; a reliable time, obtained either via NTP or via an RTC, is fundamental for the system to properly store data on the internal memory. 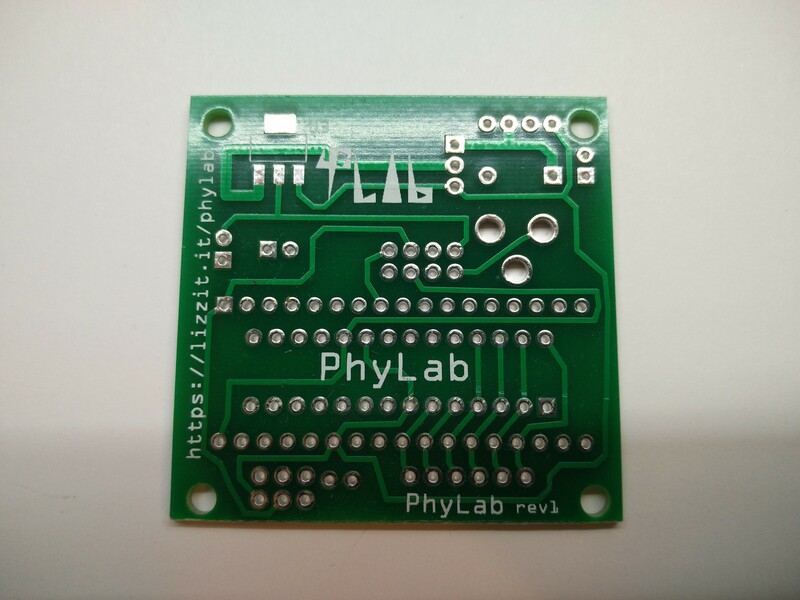 The easiest way to build the main unit is to use a PhyLab 2.0 RaspberryPI module; it allows the nRF24L01+ to be easily connected to the RaspberryPI with no additional wiring needed. 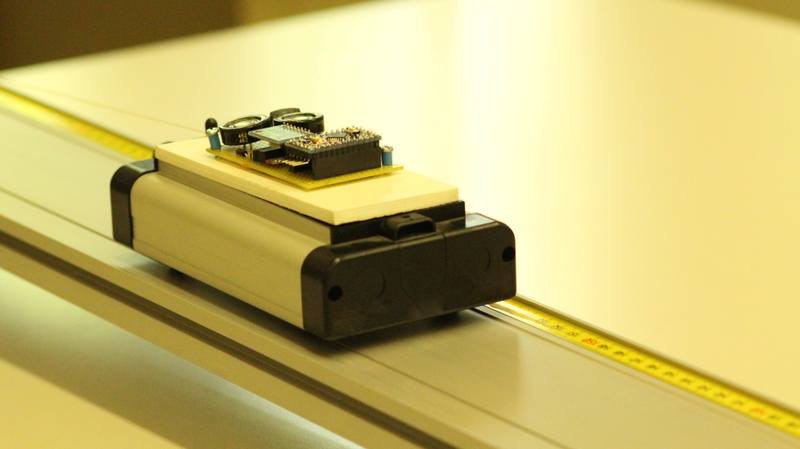 Building a unit without a PhyLab 2.0 RaspberryPI module is also possible. The RTC module shall be connected to I2C pins on the P1 header of the RaspberryPI. The nRF24L01+ module shall be connected to the RaspberryPI as shown on the diagram under /pcb; adding capacitor between VCC and GND may be useful to smooth current peaks of the nRF24L01+, which may cause system crashes. PhyLab 2.0 RaspberryPI module already includes capacitors between VCC and GND lines. 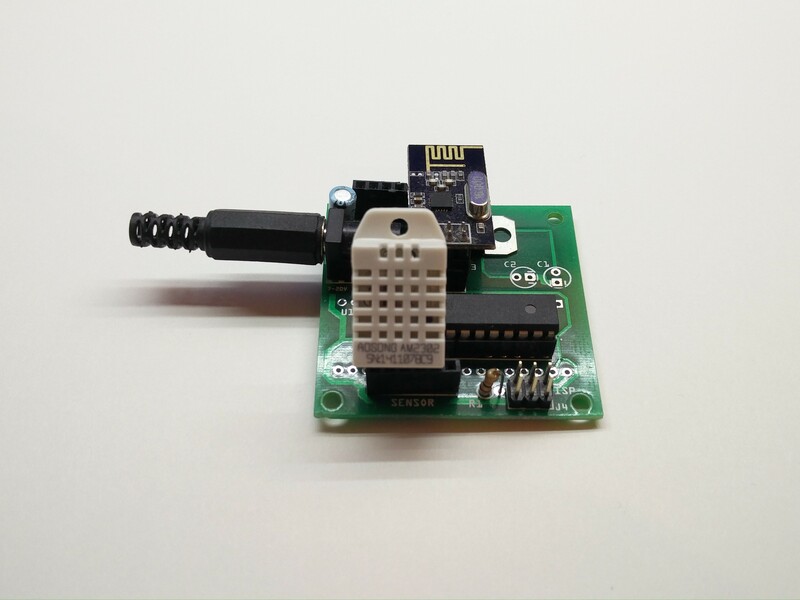 The easiest way to build a transmitting unit is to use a PhyLab 2.0 experiment module but a trasmitting unit can be also built easily with an Arduino, an nRF24L01+ module and a sensor. A pre-built image for RaspberryPI 3 is available, it includes all the software required on the server and in addition it creates a WiFi hotspot; this is the easiest way to set up a complete PhyLab 2.0 system. It is based on PhyLab OS, a minimal Linux distribution including a kernel build with just the modules required for PhyLab 2.0 to run. This allows PhyLab 2.0 to boot in just 5 seconds and to work out of the box with no setup needed. 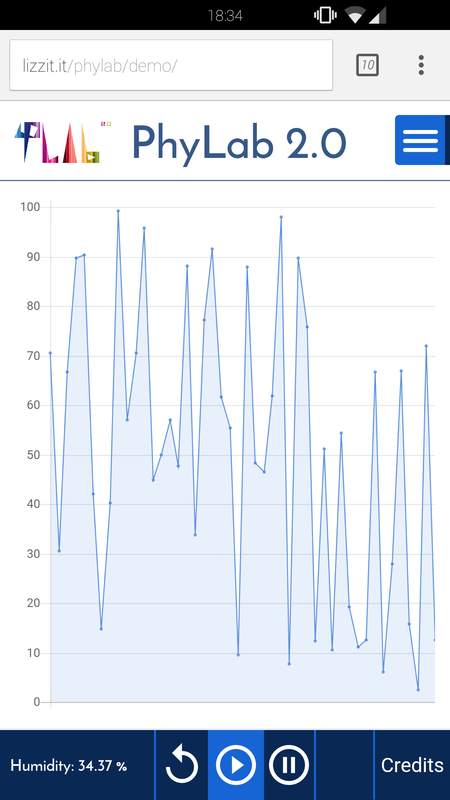 It is especially useful during physics lessons because it allows every student to see the plot and download the data from their smartphones. 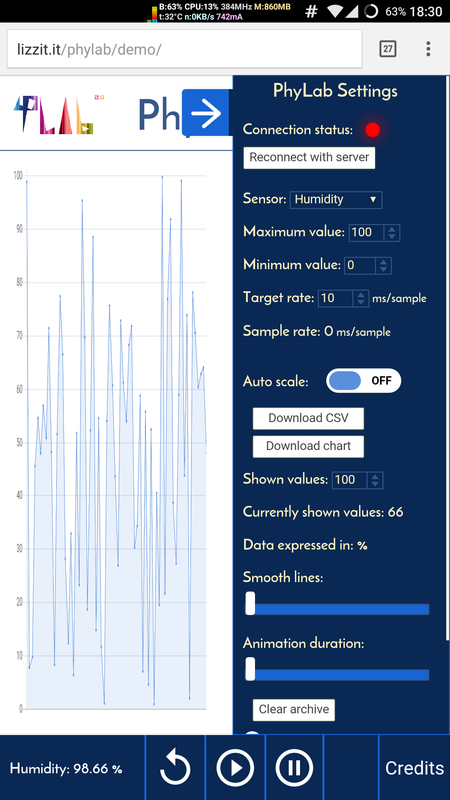 Software for some experiments we have developed (humidity, acceleration and voltage) has been released, it can be uploaded either on a PhyLab 2.0 module or on an Arduino board. 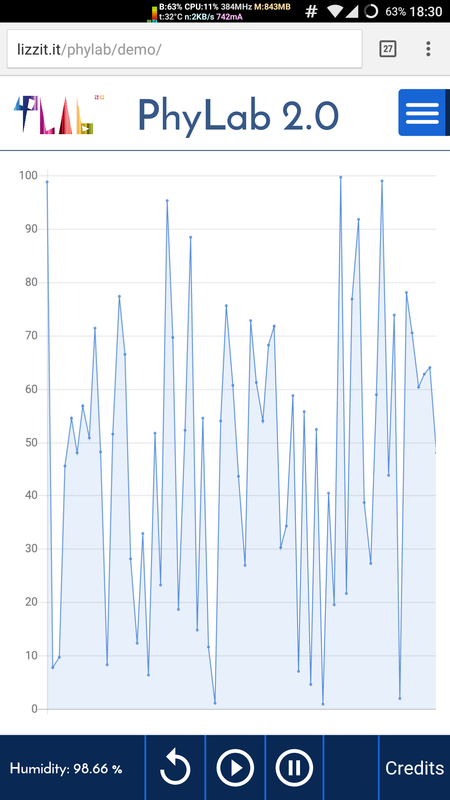 The demo version just shows the web interface, plotting random data, and is not connected to any sensor. The source code of PhyLab 2.0 is available on GitHub.